Scenting the school premises with the aroma of Festivities! HomeNews and UpdatesScenting the school premises with the aroma of festivities! Presidians at Raj Nagar celebrated Guru Nanak Jayanti and Children’s Day on 11th Nov 2016 with an amalgamation of devotion on one hand and the celebration of childhood on the other. To mark the occasion, the children and staff came dressed in ethnic Punjabi attire. 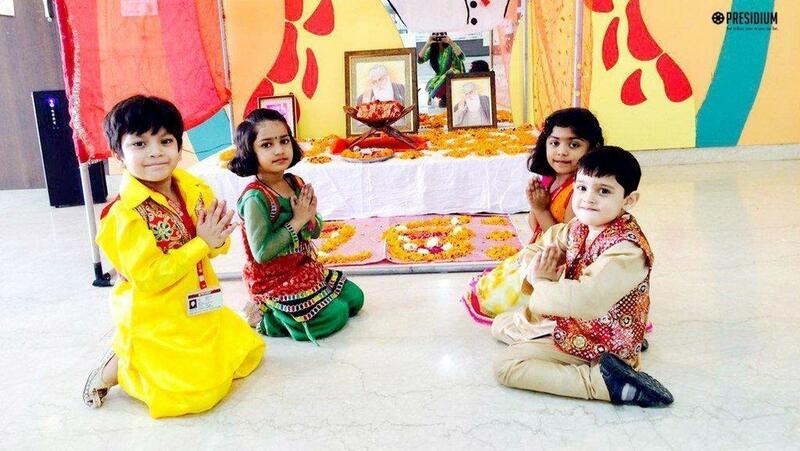 Beautiful pieces of Art related to Guru Nanak Jayanti and Children’s Day beautifully decorated the atrium. 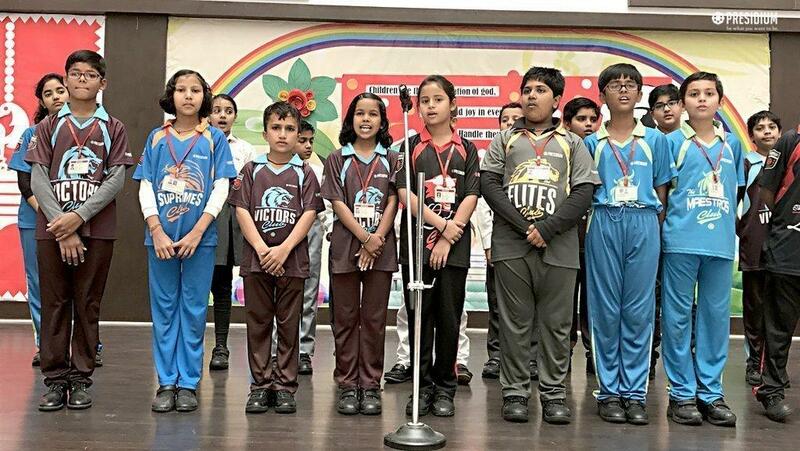 A special assembly was held on this day, which commenced with the chanting of Gayatri Mantra and Students’ Prayer. The host of the assembly was Dhanya Aggarwal of Grade 5. 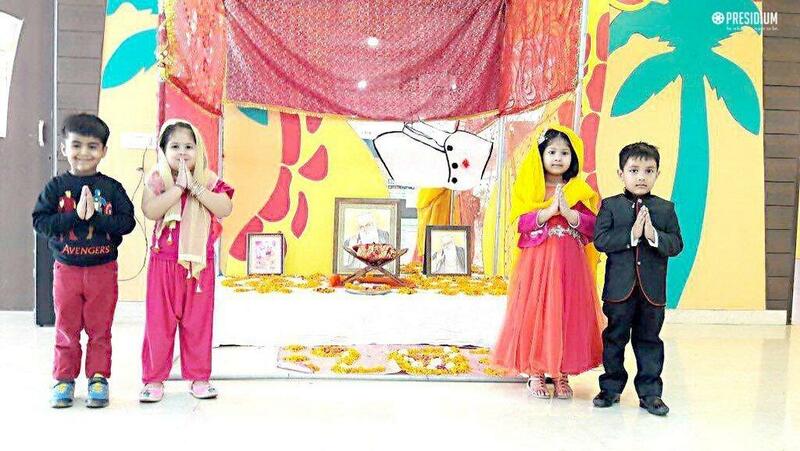 An English speech was presented on Guru Nanak Jayanti by Deepti Maheshwari from Grade 4. 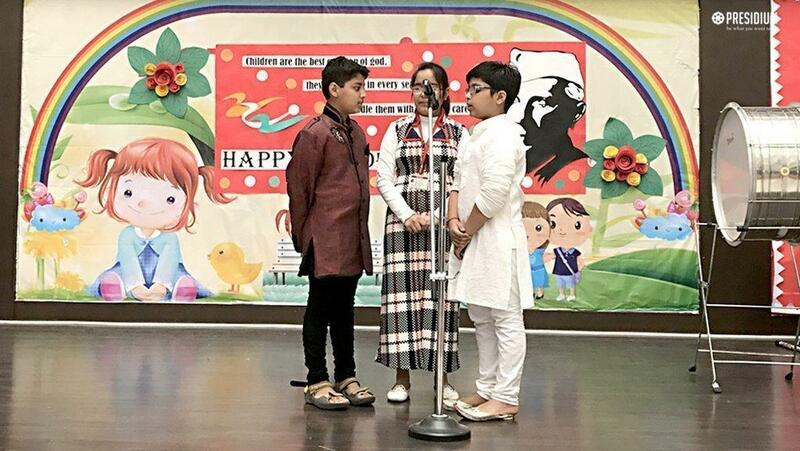 Students from Grade 4 and 5 recited the ‘Ek Onkar’ prayer to connect to the Almighty and spread the message that ‘God is one’. This was followed by a Speech in Hindi by Jitin Kumar of Grade 5 on the various aspects of Bal Diwas. Teachers celebrated the spirit of Youthfulness and walked down the memory lane to revisit their childhood by sharing their memorable experiences of their childhood. The event concluded with the Vote of Thanks by Head of School - Ms.Reena Charles.